Does your organisation wish to develop and self-publish (educational) content? 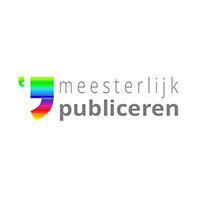 Meesterlijk Publiceren offers a complete range of services in order to help you create high-quality content and self-publish it, from project management and editing to digital or paper-based realisation. We are passionate professionals in the field of (educational) content development and self-publishing, whose aim it is to make sure that our customers’ content (message, story) has an optimal effect on their users.